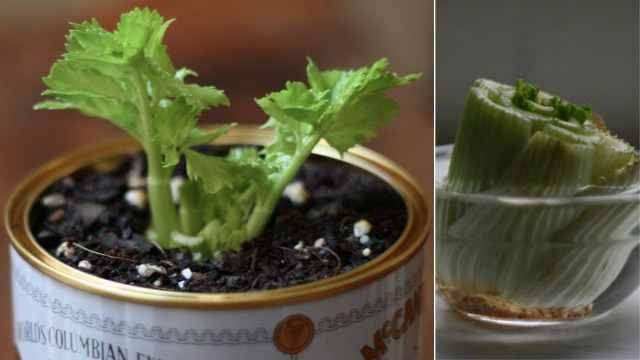 Speaking of spring break gardening projects, did you know that you can start growing celery indoors with the cut ends of a celery plant? Simply take your cut ends and put them in a shallow bowl of water, placing the bowl in a location that will get lots of sunlight. Make sure to change the bowl’s water every two or three days. From there, the inner areas of the cut ends will start to grow, and the outside will show signs of brown and rot-but fear not! This rotting is what feeds the new celery and spurs on its growth! When you notice leaves growing on your celery, this means that the time has come to plant the celery in a pot with plenty of soil. As your plant continues to grow, you can transfer it into a larger container, or even move it outside if you have the space, allowing it to soak up all the sun of summer. Celery isn’t the only veggie that can be grown from kitchen scraps either, with onions, avocados, and lettuce all examples of the many other options. Are you taking on any gardening projects this spring?